How does a dermal roller work? Dermal Rolling is becoming a popular facial treatment, but did you know that it’s actually based on ancient acupuncture techniques? Also known as 'microneedling', it might sound scary but it can actually help improve the performance of your skin care. Pricking your skin with needles sounds a bit scary, but it's actually a treatment designed to improve the performance of your skin care! Dermal Rolling is a popular facial treatment often given by dermatologists and beauticians to improve the appearance of facial skin. Also known as 'microneedling', it works to improve the skin's ability to absorb skin care products and is based on ancient acupuncture techniques as well as more recent cosmetic acupuncture, which stimulates circulation, facial muscle activity and the skin's natural cell regeneration process.1 With personal Dermal Rollers becoming available, it's now much easier to do this treatment yourself, and it won't cost you an arm and a leg like a visit to the skin clinic would! What is a Dermal Roller? An easy-to-use, at-home skin needling tool inspired by ancient acupuncture techniques, a Dermal Roller is a hand-held roller with hundreds of tiny micro-needles positioned on the surface. Specifically for use on the face, a Dermal Roller works to create microscopic 'holes' or 'channels' on the skin's surface in order to stimulate the skin's healing process, making it ideal for use on mature skin which needs a bit of a helping hand with plumping, tightening and thickening. Professionals tend to use larger needles for a deeper treatment, but at-home Dermal Rollers are designed to be very gentle on the skin with minimal pain or discomfort, instead using very small needles which are suitable for frequent use. What are the benefits of Dermal Rolling? 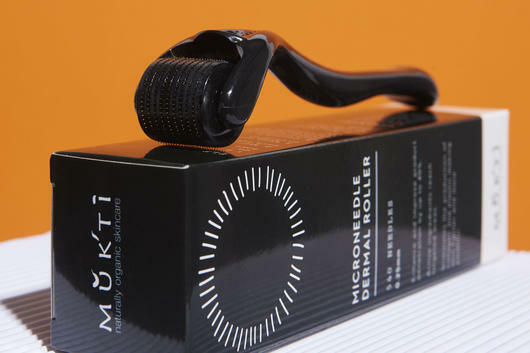 According to Mukti Organics, Dermal Rollers can help improve the effectiveness of serums and moisturisers by up to 40%! The micro channels created by the needling action help to assist the penetration of moisturisers and serums to the outer dermal layer, allowing active ingredients to reach their targeted areas and deeply replenish the skin. The needling process also stimulates Collagen and Elastin production as the skin heals itself, making skin look and feel tighter, plumper and thicker and promoting a more youthful complexion. Dermal Rolling can also help minimise and improve the appearance of uneven skin tone, acne scarring, fine lines and wrinkles by stimulating skin cell regeneration. 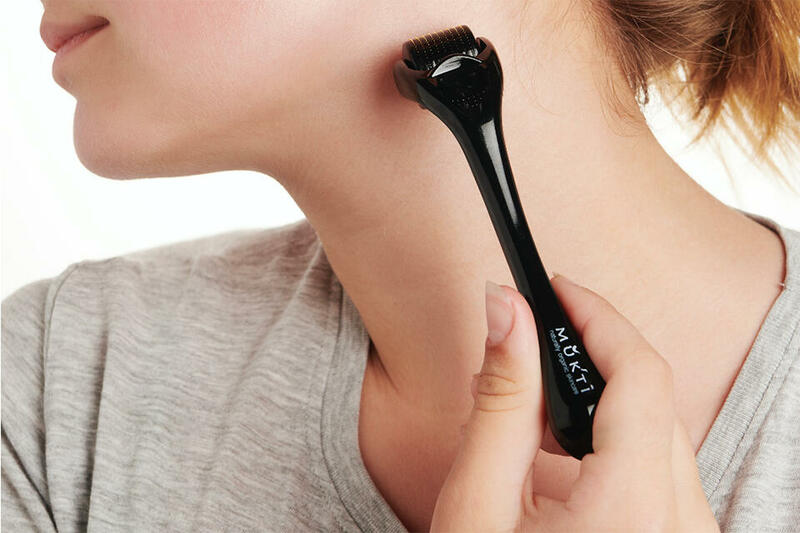 Ideally performed once or twice a week, a Dermal Roller can be used on dry skin after cleansing and makeup removal. To use, slowly and gently roll it up and down the face 3-4 times with light pressure, avoiding the eyes and lips. Roll vertically then horizontally and diagonally in a Union Jack pattern on each area of the face, using a lighter hand on the more sensitive areas, repeating the motion for a couple of minutes. Follow by gently pressing your favourite serum and/or moisturiser into the skin, and you'll likely feel the difference in product absorption! 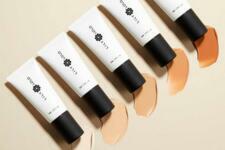 Skin might tingle or slightly sting - this is normal, but reduce or discontinue use if irritation develops. The roller should be cleaned with a clean toothbrush and water and Tea Tree essential oil solution after every third use, and replaced completely every 12 months. Which Dermal Roller do I recommend? The Mukti Microneedle Dermal Roller is ideal for regular personal use, with tiny 0.25mm needles which rejuvenate and revitalise the skin with minimal discomfort. Made from Titanium Alloy, this skin stimulating roller makes an ideal weekly treatment for mature, dry, damaged or scarred skin, as it may help to reduce signs of ageing and environmental damage, and improve the performance of your daily skin care routine. This deeply restorative treatment may also help to minimise the appearance of uneven skin tone, fine lines and wrinkles, leaving skin feeling tighter, vibrant and more youthful.